Oriflame July 2018 Catalogue ! This Oriflame catalogue is about the Urban Beauty. Its time to relive the many interesting shades of a woman's life with Oriflame. If you want to see the Oriflame Catalogue online you can see it in this video below. There are many things that I enjoy about being part of Oriflame. Enjoying the various seasons, trying out new products, making new friends, helping women fulfill their dreams, etc. This month, I am really happy to share with you that Oriflame will be giving you the best of the best deals which you can only find the Oriflame July 2018 Catalogue. You can now share your joy in many more ways. Oriflame Catalogue can be downloaded in the PDF format easily from this link. With this catalogue you can add some tropical flair to your summer style. Oriflame has also introduced Oriscan in this catalogue. With Oriscan you can easily scan the products from the catalogue and find out more about the products from YouTube videos and more. Its exciting. On page 4 and 5 of the Oriflame catalogue for July 2018 you will find how to get the day look and the night look with TheOne products. TheOne peach perfector can make you look pretty as a Peach. It is on offer and when you spend 650 Rupees in this Oriflame catalogue you can get 2 units of TheOne express peach perfector at 40% off. There are many products 35% percent of Oriflame Catalogue. Yet another amazing offer is that when you buy manicure - pedicure kit you will get bamboo nail brush for free. So this is amazing. There are some great summer finds in this Oriflame catalogue. Oriflame consultants in India are really happy with this catalogue. So many of them are ready to buy Oriflame products online and they are just waiting for the month of July to begin. 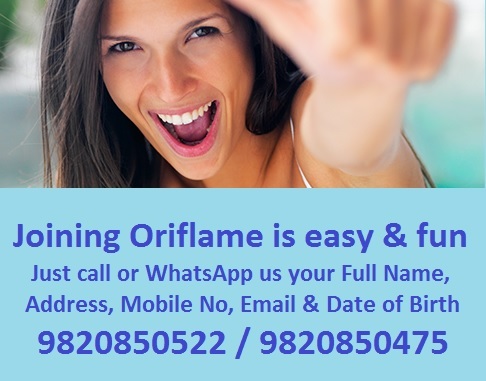 To buy any Oriflame product you can call us on this number - 9820850522. There are some of the most amazing fragrances from Oriflame that are on offer in this catalogue. Oriflame has many perfumes for men and many perfumes for women so you can choose from a variety of products. The Oriflame Perfume's are also very affordable. I cant think of going out without putting on an Oriflame perfume. One of my favorite product range is Giordani Gold. You can try the Oriflame Glacier perfume in this catalogue. You just have to rub your wrist on the try me circle and you can feel this fragrance. There are love nature products at 20% off so make full advantage of this offer. Love nature body lotion is at 50% off. One of the product all females love to buy from Oriflame is the intimate wash as it helps in naturally balancing the pH level and helps you feel fresh and confident. Oriflame has some of the wonderful hair care products. Oriflame shampoo is on offer. Those who are colouring their hair can use this opportunity and buy this wonderful product for themselves. One of the products that I am using daily is NovAge. This product can give you a smooth and wrinkle free complexion and a 33% wrinkle reduction when you use this product. It is clinically proven and it gives a brighter looking skin and dark spots can be reduced by 50%. This is the best product from the skin care range that Oriflame has to offer to the world. You can watch this NovAge video more information. I feel that every lady should have the NovAge bright sublime set for herself. When you buy this set you save 2500 rupees and you can take good care of your skin and look younger. Everybody knows about the Diamond cellular range of Oriflame. In the June catalogue you're getting 700 rupees count on this product. Royal velvet products are again on discount the current month catalogue. 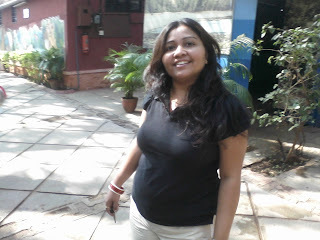 Sometime back I had written about Optimals hydra products. This month you can get optimals Hydra moisture boosting serum at 30% off. I think it's a great deal you can afford it should buy this product. Now for all college students I would recommend Pure Skin range. Whoever is above 15 years of age and who is having oily skin should use this products. This month if you buy one you will get 20 % discount and if you buy two or more of these products from pure skin range then you will get 30 % discount. I think this offer has never been seen before. It is worth grabbing this offer. Oriflame has a lot of products for men in the North for Men range. There are many amazing products for men in this range. Oriflame consultants in Mumbai Delhi Bangalore Chennai get a lot of orders from their male customers. Now let's talk about Wellness buy Oriflame. In Oriflame we believe that it is very important to improve your health. To have good health and it is very important to have a combination of natural nutrients with the fusion of Science and nature. Nutrition shake high in protein, rich in fibre, serving 65 calories only. It has natural flavours and nutritional ingredients. It is gluten free and free from artificial colours and preservatives. Please take the Oriflame shake with Omega 3 supplements in the morning. This is a healthy breakfast which I recommend all the women in india. I also recommend Swedish beauty Complex Plus for working women so that they can beat the stress improve the skin condition, endurance, and make the immune system strong. An Oriflame wants all women to have great health, great beauty and lots of money to have a happy and successful life. So make Wellness shake and Omega 3 a part of your healthy breakfast everyday. In this Oriflame Catalogue there are some special time offers valid from 1st to 15 July and others a valid from 16th till 31st July 2018. You can check them out on the last page of the Oriflame Catalogue for this month. I hope that this month to be a very prosperous and Happy month for all Oriflame Consultants in Delhi hyderabad Chennai ludhiana pune bangalore and rest of India. If you want to order anything from this month catalogue contact me whatsApp me. Yoyo online shopping with Oriflame blast and treat yourself with respect. The current month Oriflame catalogue is about the Urban Beauty. Its time to relive the many interesting shades of a woman's life with Oriflame. With the start of the rainy season, you will get a chance to put your hands on the new You Dazzle Umbrella. That's not all, the rest of the You Dazzle Collection is also as exciting. Check out the latest products and exclusive unbeatable offers from Oriflame Catalogue for July 2018! Please feel free to call me to buy products from Oriflame July catalogue.